A drinking water test is first step toward getting better-quality tap water for your Austin, Texas home. Whether you have a specific issue that you’re looking to solve, or are simply curious about the contaminants your family could be drinking, RainSoft is here to help. We offer complimentary in-home water hardness and drinking water tests at no cost, and can provide you with clear and easy-to-understand results. 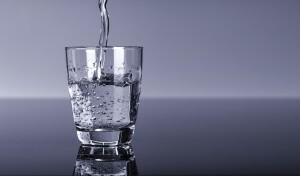 When you call RainSoft, we’ll connect you with the authorized Austin dealer who will schedule your drinking water test. While your water is being tested, your local water quality expert will answer any questions you have about your water composition, and what can be done to improve it. With the results of your test as a guideline, we’ll provide you with custom recommendations for a water treatment system. RainSoft offers several drinking water filters (along with additional products for atypical water quality concerns), and can tailor a package to meet your specific needs. Our drinking water tests are the first step towards getting great-quality water from your kitchen sink. To schedule your complimentary in-home water hardness and drinking water test, call RainSoft of Austin, TX, today.